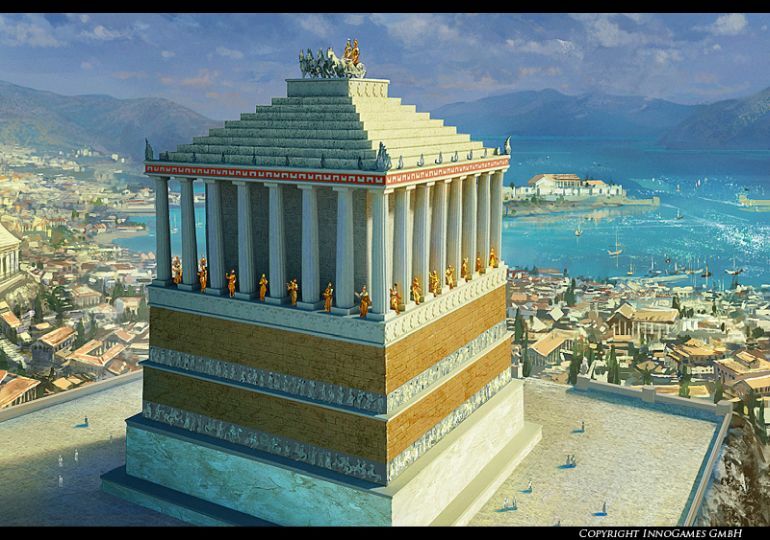 The Mausoleum at Halicarnassus (or Μαυσωλεῖον τῆς Ἁλικαρνασσοῦ in Greek) was a grandiosely constructed tomb for Mausolus and his wife Artemisia II of Caria, some time between 353 and 350 BC, at what is now present-day Bodrum in Turkey. And now after more than 2,300-years, there are plans in motion to restitute the antediluvian structure, which is counted among one of the Seven Wonders of the ancient world. The architects are also looking forth to open the passage all the way from the Bodrum harbor to the historical site. The ambitious project of ‘restitution’ will be kick-started by the collaborative effort of Mediterranean Countries Academy Foundation and renowned Danish archaeologist Professor Poul Pedersen and his assistant Professor John Lund, both having decades of experience at the University of Southern Denmark. And while the primary objective of this endeavor would focus on the main tomb of Mausolus, the project will also entail a bevy of other restorative works. 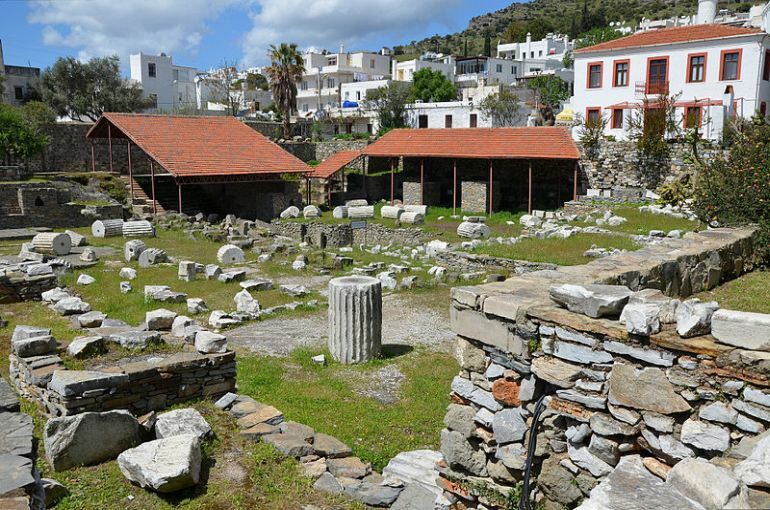 The refurbishment scope will include the restoration of a Jewish cemetery along with a church, complemented by archaeological excavations of the ancient city walls of Bodrum and the 3,500-year old hippodrome. There are many locals in Bodrum who don’t know that Heredotus was born in Bodrum and that the Mausoleum at Halicarnassus is listed as one of the Seven Wonders of the World. This is why our priority is to restitute this mausoleum and open a way from the port to this place. Hundreds of thousands of tourists visiting Bodrum return to their countries without seeing it. We, as the foundation, will organize the International Mausolus Workshop in May to provide information about Bodrum’s history with the participation of academics, historians and archaeologists. This workshop will be a very important step leading to the restitution project of the Mausoleum at Halicarnassus. And finally coming to the historical side of affairs, while Mausolus (himself possibly being a native Carian hailing from western Anatolia) was a satrap of the Persian Empire, he was also a great admirer of the Greek culture – so much so that the entire Mausoleum at Halicarnassus was designed by Greek architects Satyros and Pythius of Priene, while also boasting sculptural reliefs from other eminent Greek artists. In essence it was the magnificence of the finished structure (which rose to over 148 ft) that prompted Antipater of Sidon to designate it as one of the Seven Wonders of the ancient world. 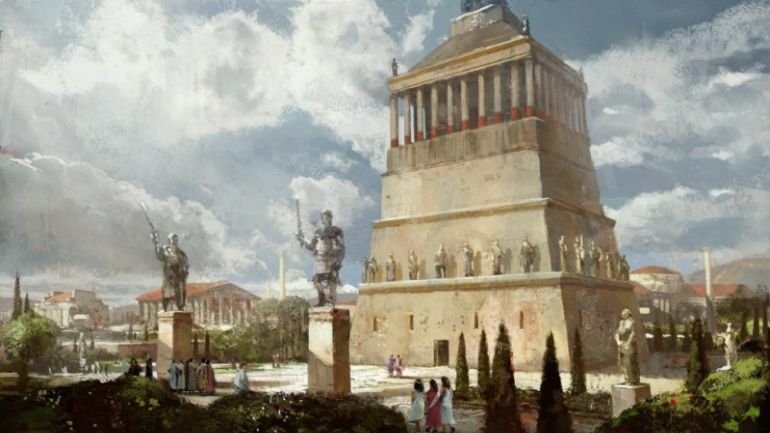 Unfortunately enough, the Mausoleum at Halicarnassus was the last of the six destroyed wonders which met its ravaged fate brought on by successive earthquakes from 12th to 15th centuries. And in an interesting etymological note, the very word ‘mausoleum’ is derived from this ancient wonder dedicated to the Anatolian ruler Mausolus. Artist’s reconstruction of the Ancient Wonder.